Hank Jr.’s extremely impressive resume has spawned 70 million albums sold worldwide, six PLATINUM albums, 20 GOLD albums, 13 No. 1 albums and 10 No. 1 singles. Hank Jr. has been named ACM Entertainer of the Year, CMA Entertainer of the Year and BMI Icon in addition to winning a GRAMMY and being inducted into the Nashville Songwriters Hall of Fame. Feb. 03 – Peppermill Concert Hall – West Wendover, Nev.
April 29 – Georgia World Congress Center – Atlanta, Ga.
May 27 – Daytona International Speedway – Daytona Beach, Fla.
Sept. 16 – Washington State Fair – Puyallup, Wash.
Hank Williams Jr.’s extremely impressive resume has spawned 70 million albums sold worldwide, six PLATINUM albums, 20 GOLD albums, 13 No. 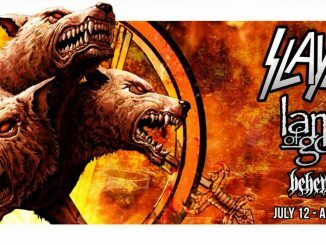 1 albums and 10 No. 1 singles. Marking 52 years since his first album in 1964, Hank Jr. released IT’S ABOUT TIME(Nash Icon Records) on January 15, 2016. In addition to the history-making “Are You Ready for the Country,” the project includes new tunes such as “Dress Like an Icon,” “Just Call Me Hank,” “It’s About Time,” and “The Party’s On” as well as re-recorded versions of classics “Mental Revenge” and “Born to Boogie” with Brantley Gilbert, Justin Moore and Brad Paisley on guitar. 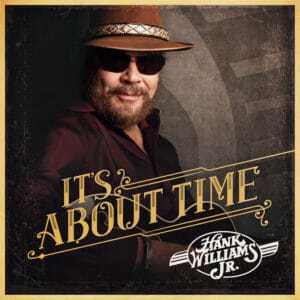 IT’S ABOUT TIME is Hank Jr.’s 37th album in his five-decade career. He continues to add accolades to an extremely impressive resume, which includes ACM Entertainer of the Year, CMA Entertainer of the Year and BMI Icon in addition to winning a GRAMMY and being inducted into the Nashville Songwriters Hall of Fame. As a touring artist, Hank Jr. was a pioneer in bringing arena rock production values to country music, and he remains one of the most consistent ticket sellers in music, period, as generation after generation gets turned on to one of the most dynamic live performers ever to take the stage.